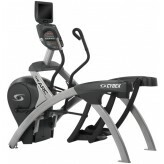 A Commercial High End cross trainer created for the most demanding users in the most demanding environment, the CYBEX 750AT brings technological innovation to the Art of Fitness Training. 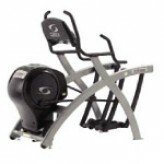 The unmatched versatility of the CYBEX Arc series allows the fitness center owner to purchase one unit that will be THE workout of choice for a wide variety of users. 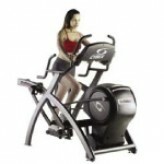 A self-powered unit, the CYBEX 750AT Arc Trainer can be placed almost anywhere on the gym floor since it does not require a power cord. 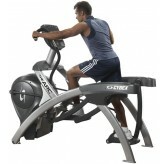 A Commercial High End cross trainer for the user who wants to concentrate on lower body training only. Popular with coaches and trainers, the Lower Body Arc is often chosen because it gives added workout flexibility (i.e. a strength coach found players could lean forward and "drive back" with their legs unhindered by the arm movement). 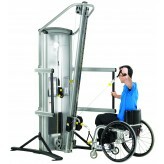 The 750A Arc Trainer has all of the features of the Total Body Arc Trainer without the Arm motion.